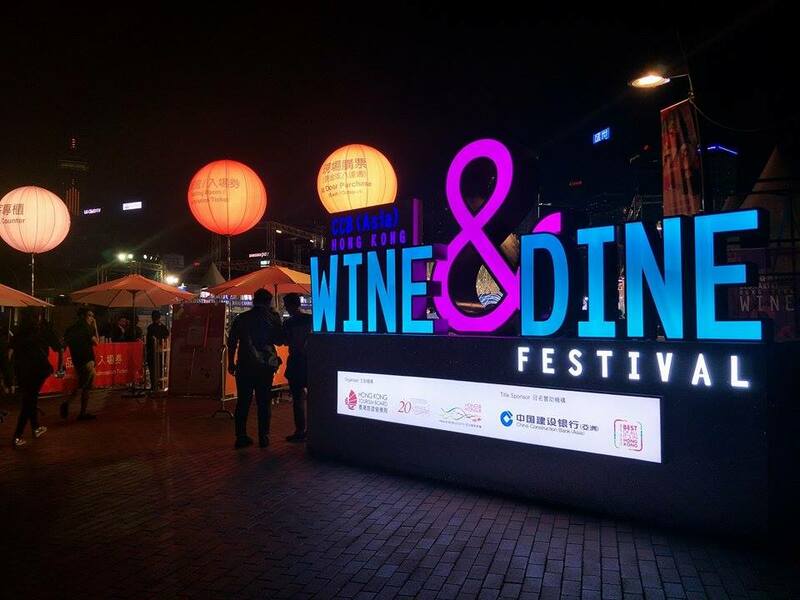 Hong Kong Wine & Dine Festival is an annual event that brings together wine connoisseurs and the gourmets around the world. 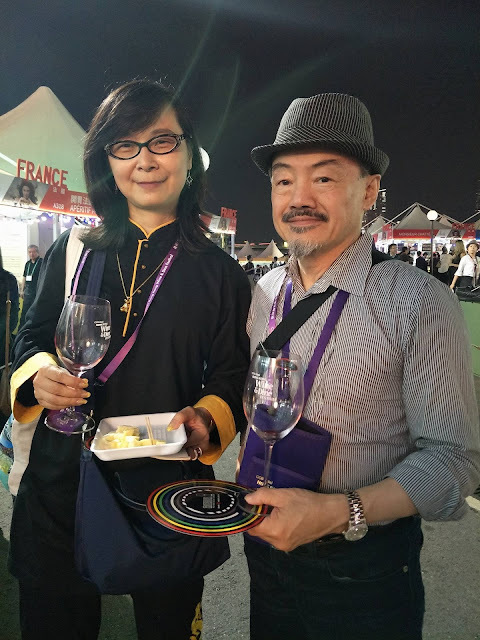 Of course, the event is also open to every one who simply loves to wine and dine. 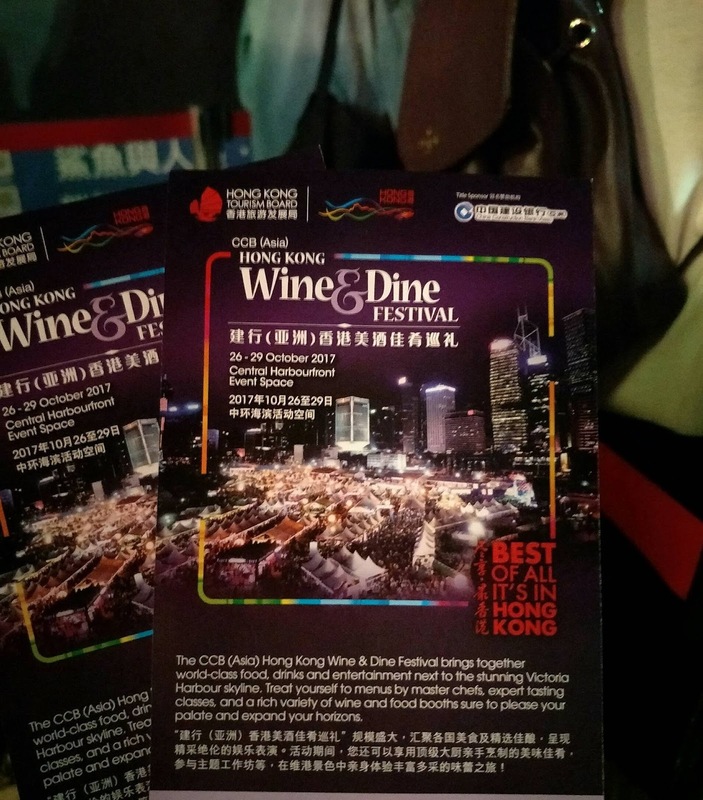 I've first heard of it when I was invited to attend the Hong Kong Wine & Dine Festival 2013. It was a very memorable experience for me and I'm quite happy to be able to attend the event again this year. 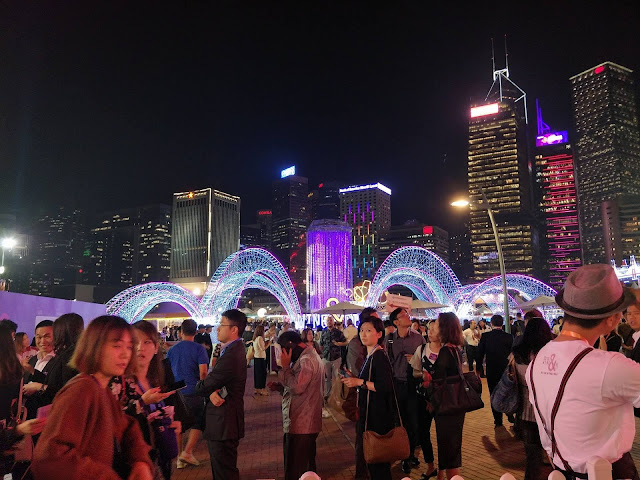 It was really a spur-of-the-moment trip to Hong Kong with my daughter and it fell on the week of the HK Wine & Dine Festival so yey! We got our tickets from the Hong Kong Tourism Board at the airport. It is also available at the any HK Tourism counters around Hong Kong and of course, at the venue itself which was at the Victoria Harbour. Tickets costs HKD $100 which is inclusive of 4 wine tokens + wine glass, HKD $200 which has a special pass to the grand wine pavilion and other extra perks. Minors pay HKD $30 as entrance only. We got to attend the first night and the line to the entrance was quite long. Its a healthy mix of locals and foreigners. 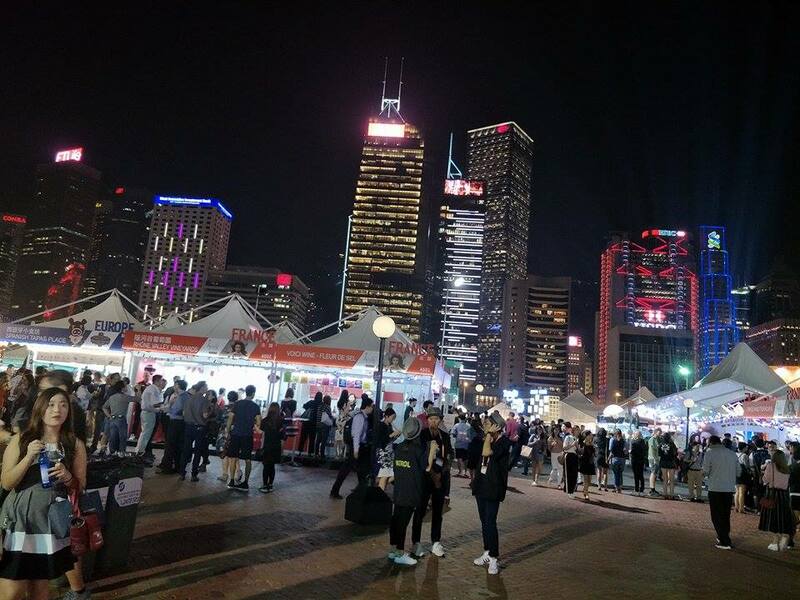 We were allowed to enter around 7pm which was after queuing for the wrong line. Luckily, we were able to find the right line, thanks to my daughter who can converse in Mandarin. 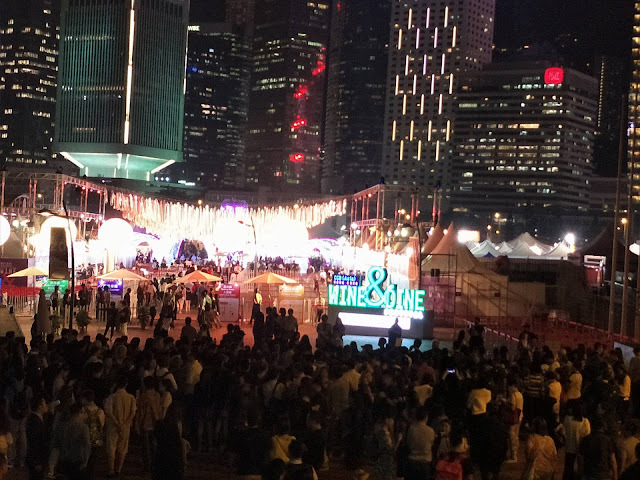 The well-lit buildings in Central Hong Kong provides a nice backdrop for the wine and dine event. It is also very picturesque and I've noticed more than several guests having their photo-ops. 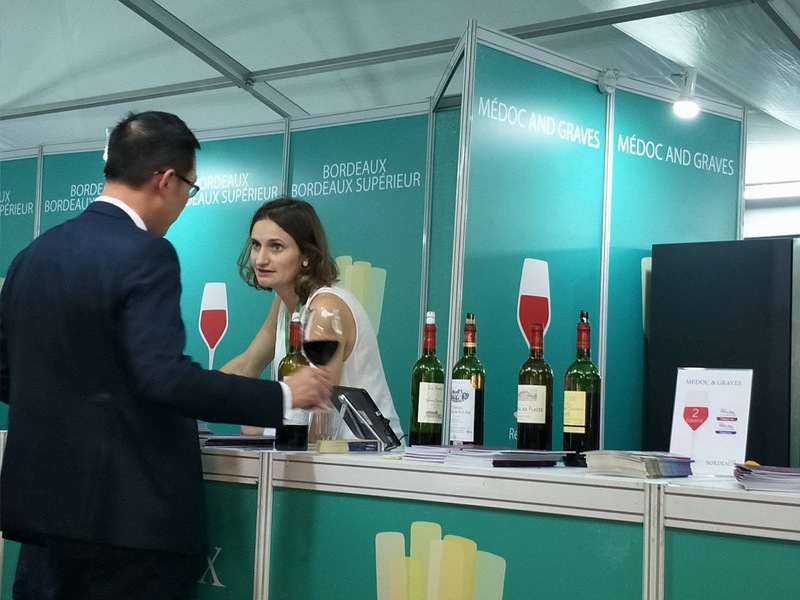 Every one was really enjoying themselves at the wine and dine event. 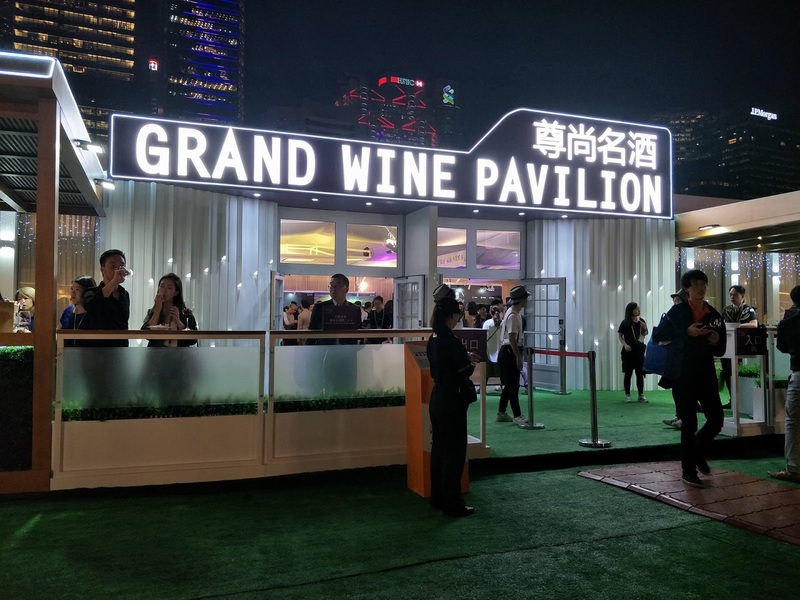 Here's the Grand Wine Pavilion. Sadly, my ticket doesn't allow me in so I don't know what's inside. I'm guessing though that they serve the rarest and most expensive bottles of wine inside. 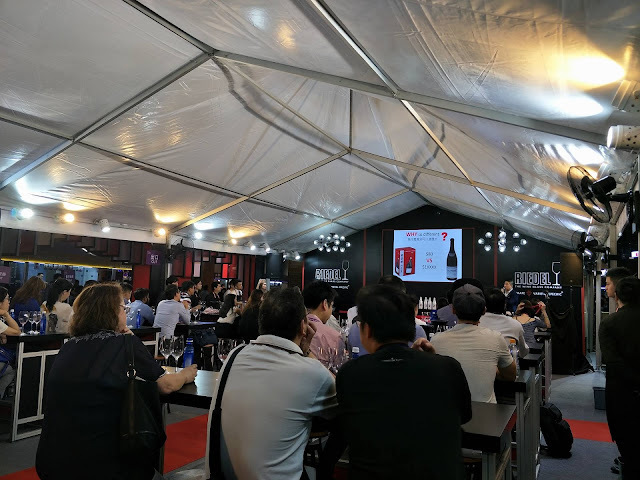 The VIP ticket holders can also attend the special wine tastings or wine 101 like this one hosted by Riedel Crystal Glasses. I remember being briefed about this particular glass in 2013 and that it has a much more melodious sound compared with a regular wine glass. Here's a lovely couple who gamely posed for photos. Xie xie ni men! 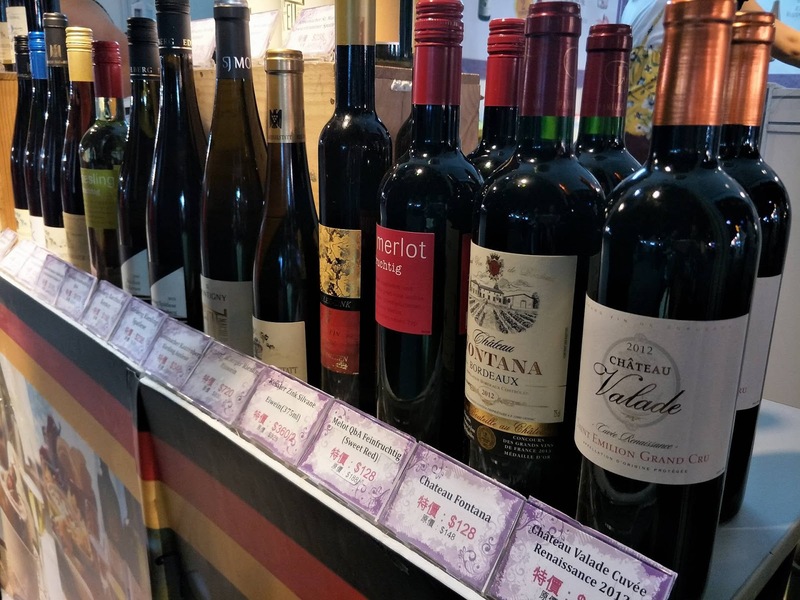 So here are some of the wines displayed and being sold at the event. You'll notice that there prices varies although most of them are mid-range prices. 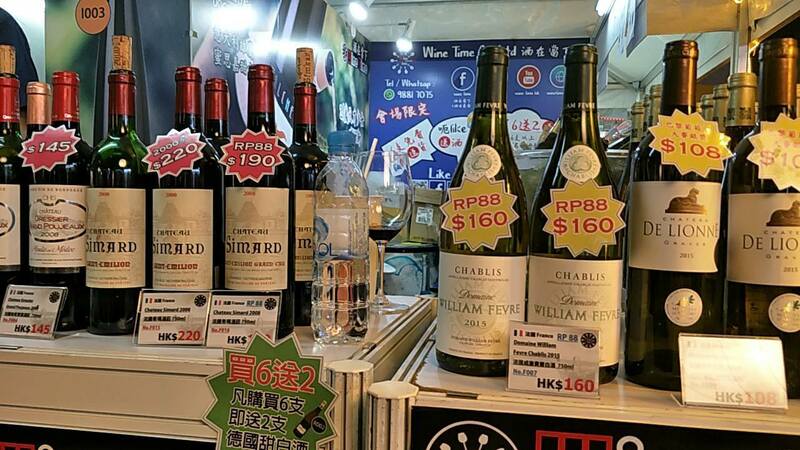 There are over 200 wine merchants from all over the world gathered at the HK Wine & Dine so there's really a wine even for the picky one. Aside from wine, there are also booths selling craft beers from around world. 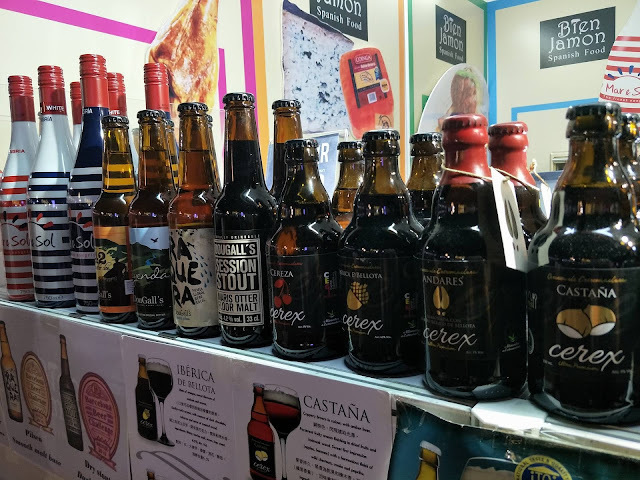 Craft beers are getting popular and there are also some specially brewed beers that is comparable to that of wine. 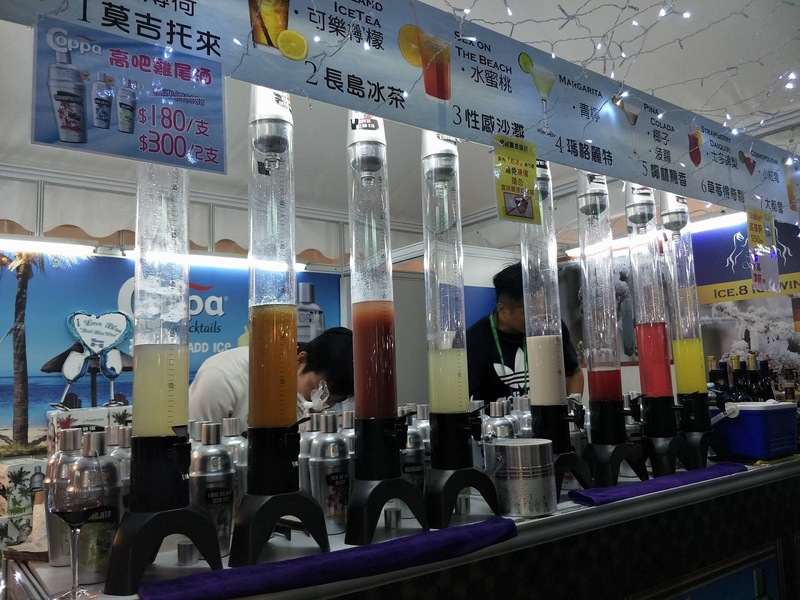 This booth here is selling several choices of cocktail drinks. There was a line when I took this photo and the bartenders are kinda busy preparing drinks. 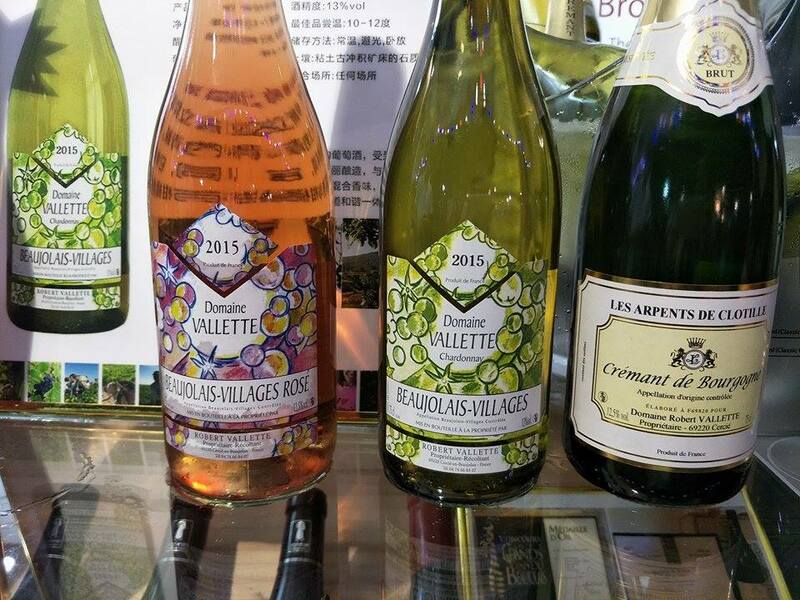 Here's a familiar wine --- Beaujolais! I had the rose' and it was good. Not too strong and has the right sweetness for my taste. I was told that this wine is best paired with dessert. Read more about my previous Beaujolais wine experience here --- Beaujolais Wine Dinner and Soiree Beaujolais. 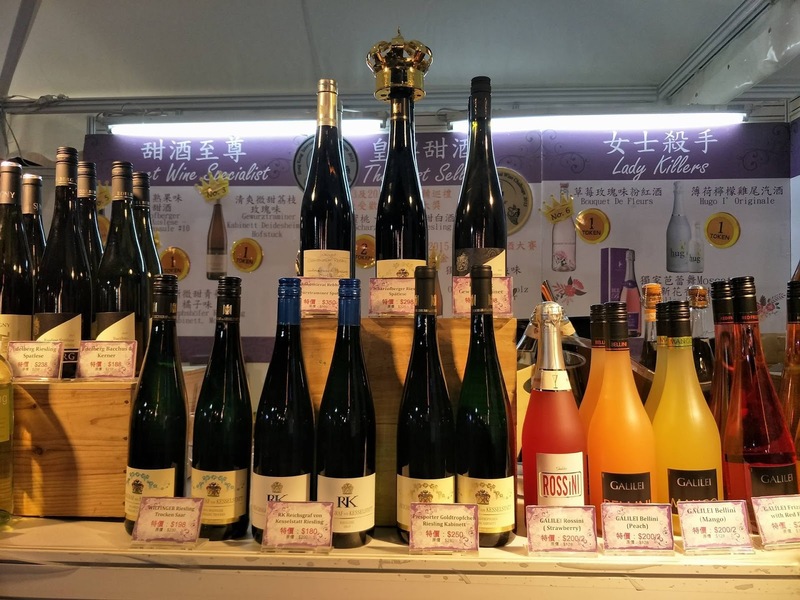 Of course, drinking wine is boring if you won't pair it with food (for me, anyway). 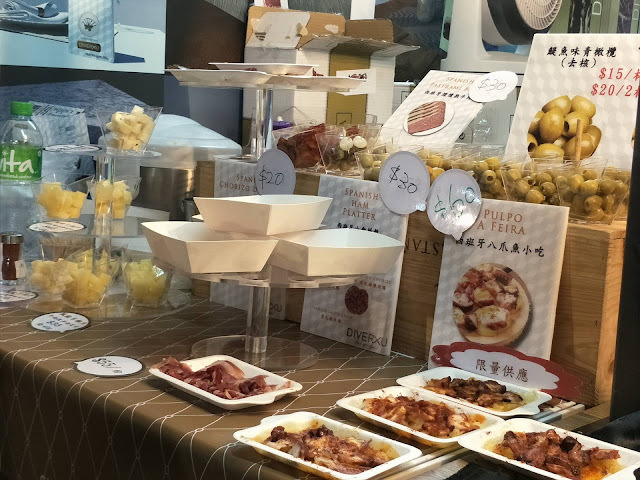 There are several booths that sells cheese, olives, ham, and even desserts like cakes and chocolates. 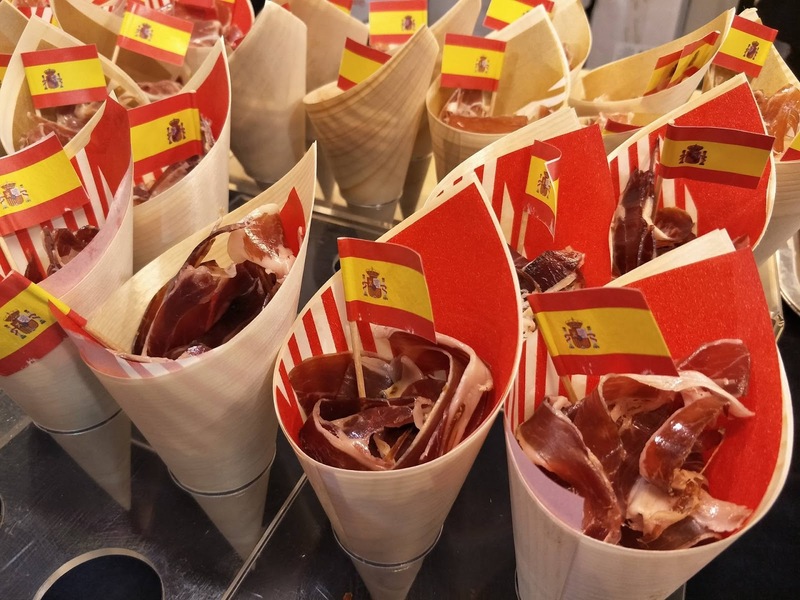 Jamon Iberico! These costs HKD $50 and the booth also gives a slice or two for free taste- yummy. Best paired with wine. Salud! 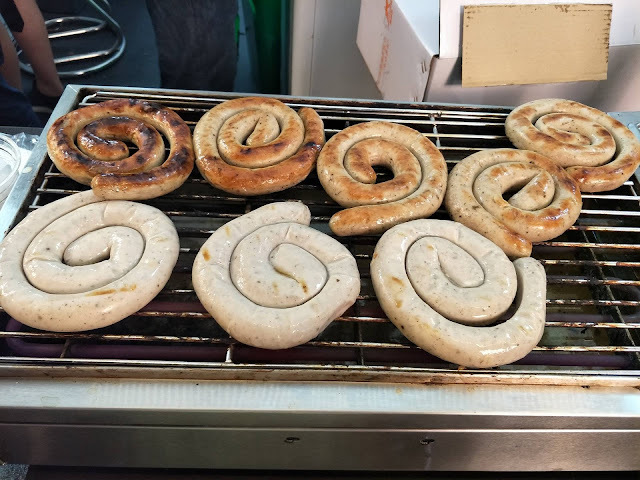 These sausages here attracted our attention and noses! We got the white one (I can't remember the name though but it sounded German) and it costs HKD $20. It was so good- flavorful and juicy. 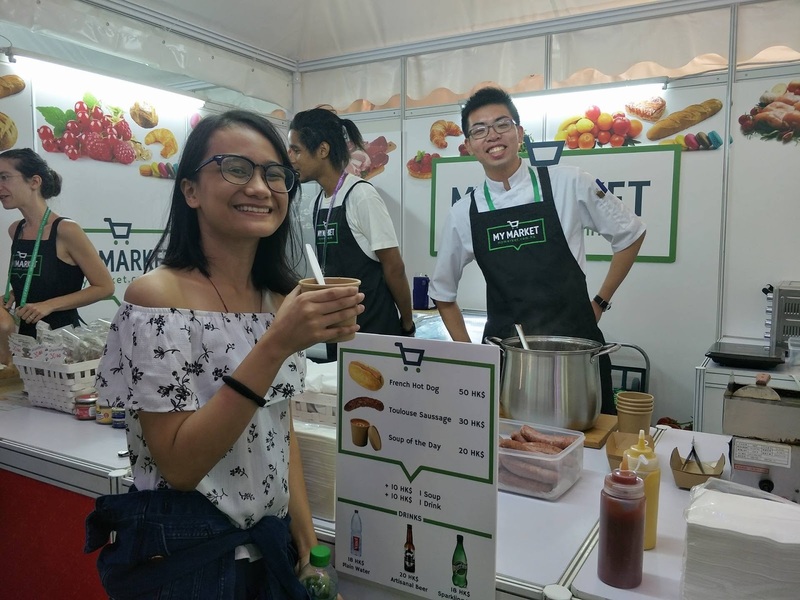 After finishing off our sausages, we wanted to get another one but the line was longish already so bye-bye sausage. 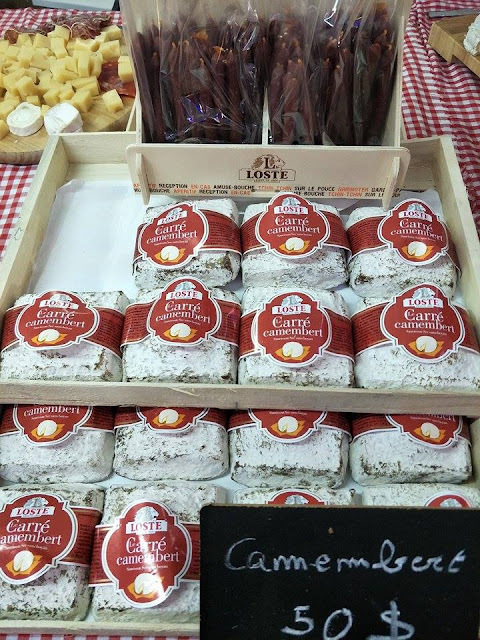 My daughter was eyeing these cheese although she was really keen on buying brie since it was her favorite. We did plan to come back to this booth but forgot all about it since there was so many other booths to see. Here's my daughter with her cup of soup. Turns out that soup of the day from this booth was Lobster Bisque. Wow! I had some nice French cheese with cherry jam in a mini baguette at this booth and made friends with this Guy named Sylvain who filled my glass with Lauduc, a deliciously sweet ladies wine (says he). He keeps on refilling my glass whenever he notices that the wine is almost gone. I must've consumed more than half a bottle myself. Hic! 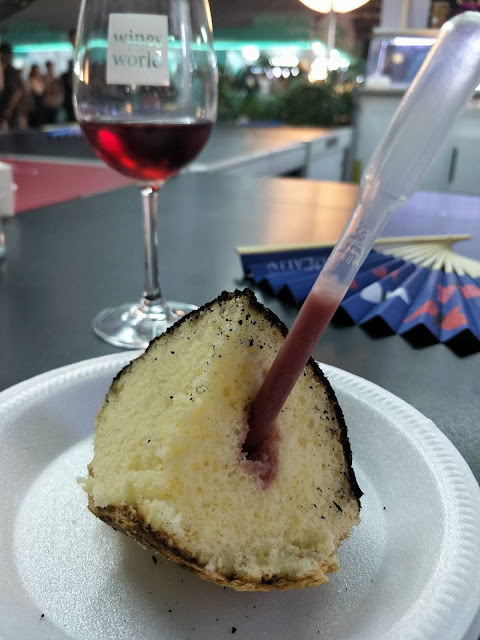 Sylvain and his partners- Tina and Alice are also selling this Tourteau Fromager & Raspberry Coulis which roughly translates to cheese-y chiffon cake with raspberry sauce. It was quite filling for a dessert though. 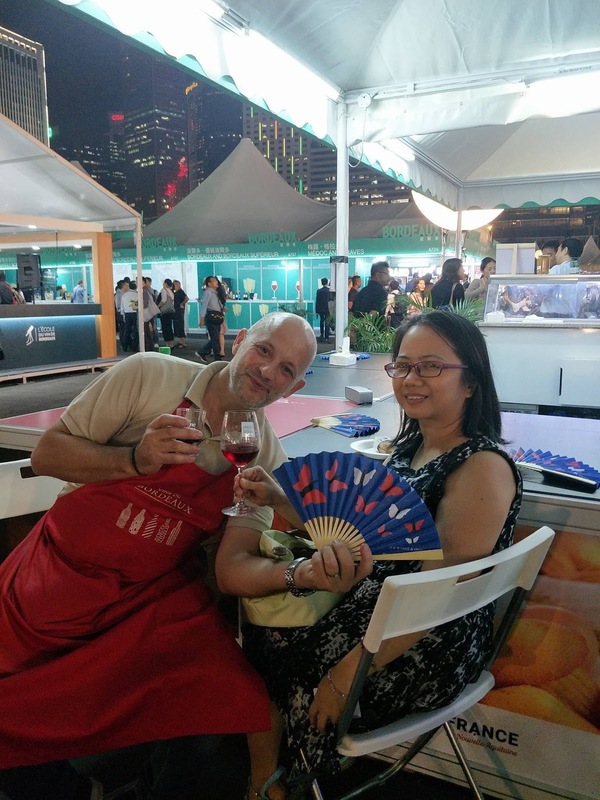 It was truly a memorable night at the Hong Kong Wine & Dine Festival 2017and I'm glad that my daughter was able to join me. My foodie heart was rejoicing from the experience and I'm looking forward to the attend the next one. Cheers!